Drawing from thirty years of business and entrepreneurship, Tim Hoerr empowers risk takers to live courageously and maximize their impact in life. Tim is the author of the book Thank God It’s Monday! A Toolkit for Aligning Your Lifevision and Your Work and the newly published, Risking It: An Intersection of Faith and Work. 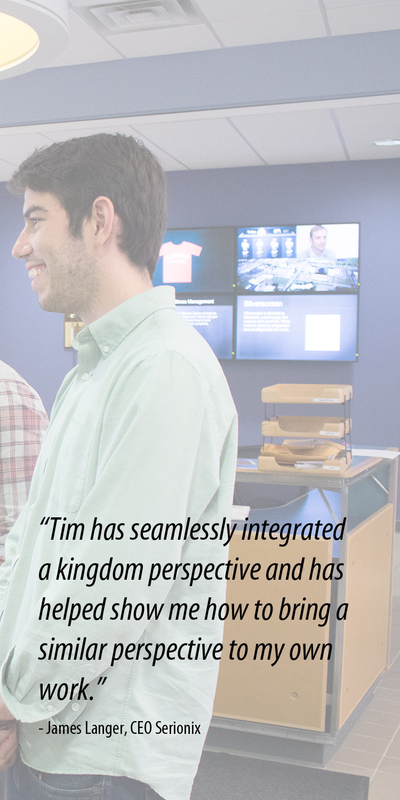 Tim has actively sought to integrate his understanding of God’s kingdom into every aspect of his life, including all of his business endeavors. He enjoys wrestling with and applying faith principles in the marketplace. Perhaps most importantly, he is excited to share his successes and failures with the businesspeople and entrepreneurs who are building today’s high performance organizations. Read Tim's full bio. How do I get a copy of Tim's Book? 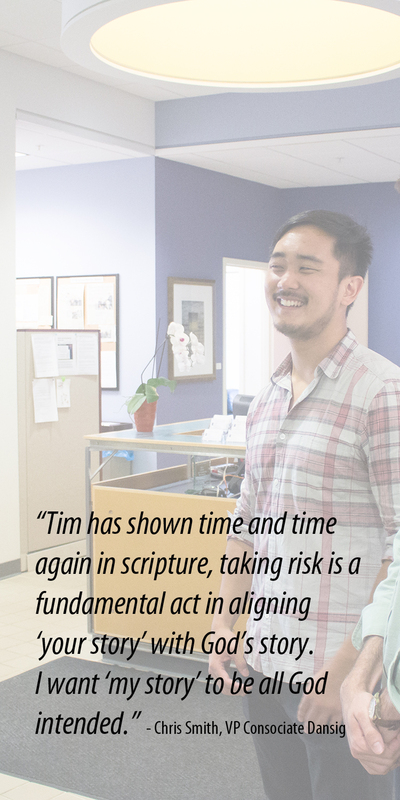 Learn more about Tim's new book Risking It: An Intersection of Faith and Work. Where Can I Hear Tim Speak? 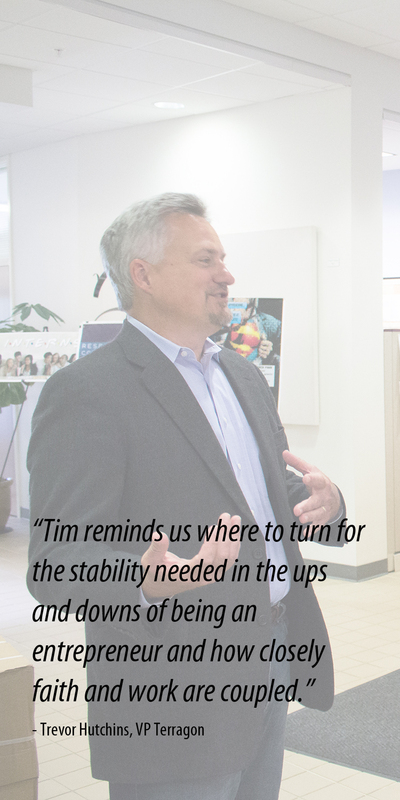 Get more information on the dates and locations of Tim's upcoming speaking engagements. Sign up with your email to get Tim's latest updates and blog posts and receive a free preview of his new book.